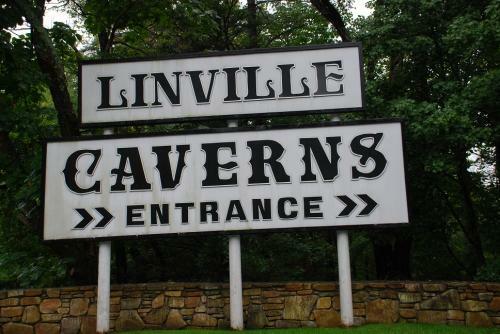 Linville Caverns are the only caverns in North Carolina. A visit to these caverns allows visitors the opportunity to venture inside of a natural limestone mountain and see it”s wonders! The caverns were first discovered in the early 1800s by a group of men on a fishing expedition who noticed a trout swimming out of the mountain. They had never seen anything quite like it and were very intrigued by this “hidden world”. Henry E. Colton, the man who headed up the expedition, described the caverns as, “fantastic festoons of stalactites hanging down within our touch” and “pendants that were of a delicate lightness, and a most beautiful hue”. From Wilkesboro, you will need to get on US-421 and head towards Boone. Once you get to Boone, you will take NC 105 South to Linville. Turn right onto NC-105 at intersection Linville, then travel to the first traffic light and turn left onto US-221 South. The cave entrance will be approximately 15miles on right! Today there are 35 minute walking tours through the caverns. It stays about 52 degrees year-round and the stalactites drip water on most days. 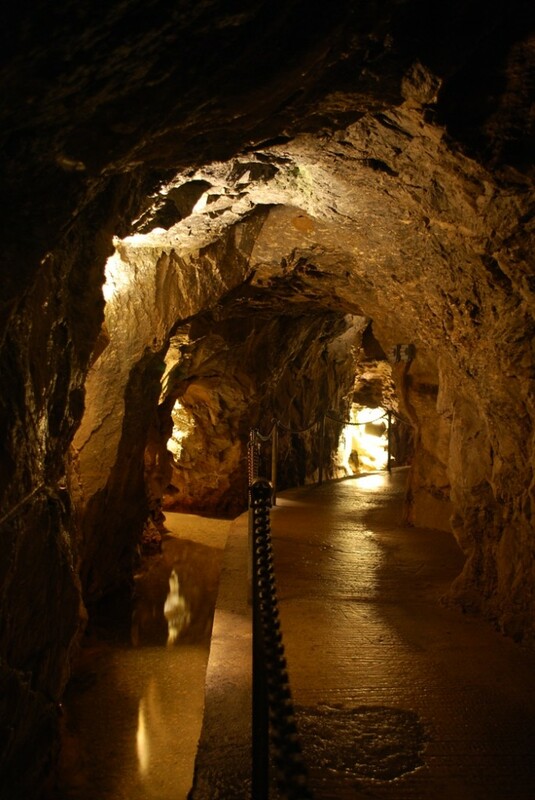 During periods of heavy rain, the caverns will be very wet and drippy. Because of the cooler temperatures and the dampness, I recommend wearing a jacket or sweatshirt to stay warm! Also, be sure to wear tennis shoes, or shoes with a sturdy rubber sole. The stalactites and stalagmites of mineral deposits are a site to see and you want to be warm and safe while doing so! **Hours change each month, check the website for full schedule! 2. Bring a group of children. Kids will be learning about mineral composites in school, so this is a wonderful way to bring what they are learning in class to life! 3. Bring your Camera. Cameras of any kind are welcome in the caverns. What a neat way to take part of the experience home with you!